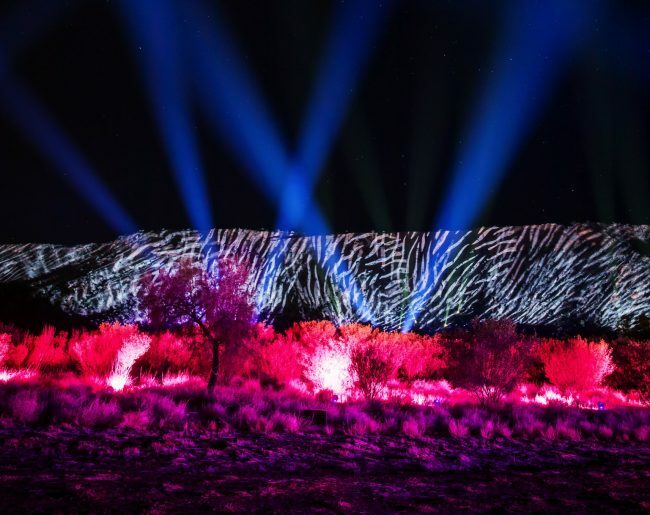 Parrtjima – A Festival in Light, the first Indigenous light festival of its kind, was created and produced by AGB Events, who were engaged by Northern Territory Major Events Company (NTMEC). 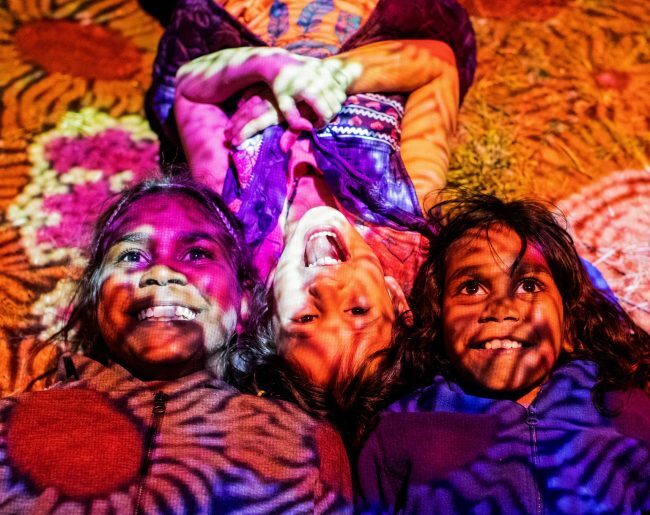 AGB Events were the ‘enablers’ of the event, enabling the creative content and stories to emerge from the Alice Springs artistic and cultural communities. 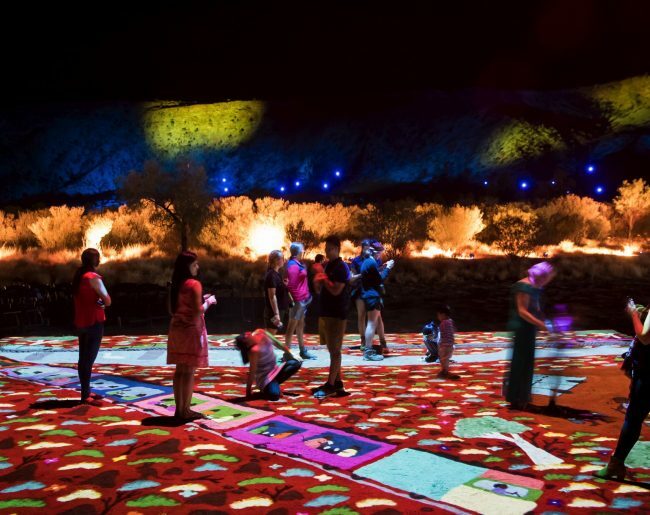 The Festival highlights the beauty of the Central Australian Desert at Desert Park, Alice Springs. 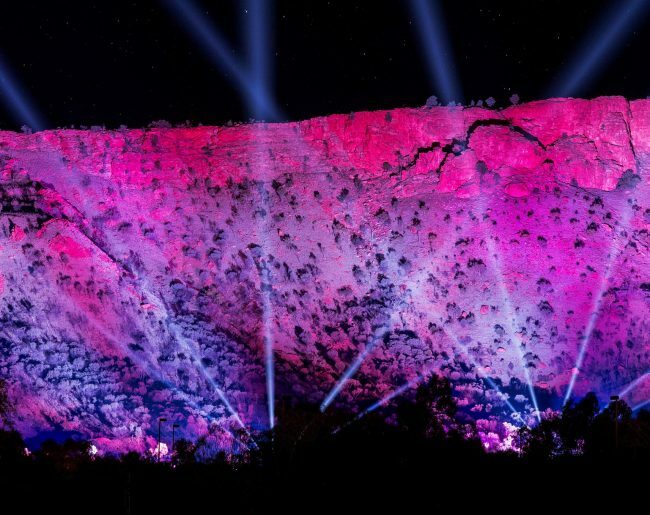 The free outdoor public event annually features spectacular displays of Indigenous artwork, and illumination of 2km of the MacDonnell Ranges. 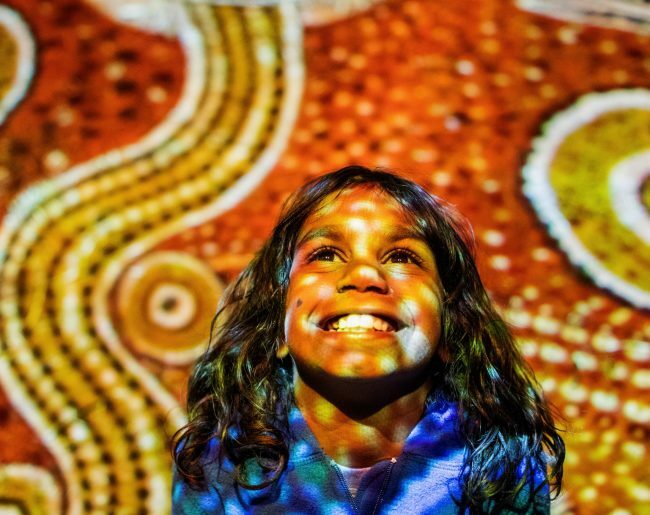 In Central and Eastern Arrernte, apateme means ‘to have trouble understanding something’ and pwarrtyeme means ‘to shine’. By combining the two, the word Parrtjima suggests shedding both light and understanding on a subject.